THE YACHT WEEK @ DUKLEY MARINA — Dukley Marina Budva is located in the heart of the Budva Riviera’s namesake resort community. One of the Adriatic’s most handsome nautical destinations, the marina is set against the backdrop of the historic old town. Marina is an international port of entry with a seasonal border control which is open from May 1st through October 1st (from 8am to 10pm daily). All airports are very well connected to the other major European cities. The nearest International airport, Tivat Airport, is located only 25-minute far away, whereas the main one, Podgorica International Airport is situated a-hour driving distance. Dukley Marina Budva is located in the heart of the Budva Riviera’s namesake resort community. One of the Adriatic's most handsome nautical destinations, the marina is set against the backdrop of the historic old town; Dukley Marina Budva is committed to providing all our customers with competitive rates for services and facilities; Marina is an international port of entry with a seasonal border control which is open from May 1st through October 1st (from 8am to 10pm daily). When in comes to service, Dukley Concierge Service and its tradition of hospitality is second to none; Dukley lives up to its five star distinctions by catering to business and leisure travelers alike with unique and convenience of providing service that appeal to each guest. Dukley Marina Budva provides guests with a higher and more exclusive level od creative services when it comes to our exceptional concierge team. Set against the ancient stone ramparts of Old Town Budva, 100 meters from Dukley Residences and a two-minute tender from Dukley Gardens. The 300 berth Dukley Marina Budva is ideally located as the first full service, international port upon entering the Adriatic from the Ionian and welcomes boats up to 70 meters; Tivat airport is 20km from Budva. It has regular flights to Belgrade throughout the year and has charter flights to major European destinations during the summer; Podgorica airport (65km from Budva) is Montenegro's main international airport. It is situated 12km (7.5 miles) south of Podgorica and is a hub for Montenegro's national airline, Montenegro Airlines; Dubrovnik airport (75km from Budva) in Croatia is a half hour drive from the Montenegro border and the coastal city of Herceg-Novi. It is served by many major airlines and is a good option especially for visitors from northwest Europe; Main roads connect the bigger cities and regions of Montenegro. Most of these are listed with the International E-road network and are locally labeled with an 'M' followed by a number. Typically, these are paved roads of single carriageway, with one lane per direction and the frequent addition of a third overtaking lane on sections with steep gradients. Dukley Marina - Международный порт, расположенный в самом центре Будванской Ривьеры, одном из самых живописных направлений Адриатики. Пристань расположена в непосредственной близости исторического Старого города Будвы. ~ We have had the pleasure of hosting one of this year’s big events, none other than the prestigious Yacht Week, during which, over 70 boats have visited our Marina in 2 intervals, 08th- 10th of August and on the 15th - 17th of the same month. ~ We arranged berths for all boats on 3 docks – K, L, and M, so that the clients were able to stay together as a group, which made their stay joyful. European Travel Ventures and our team liaised for months in order to make sure that this event takes place in Budva and that our guests never forget it. Marina concierge team was on stand by 07h-21h and at the guest’s disposal, to help with any requests or wishes. ~ From our perspective, we couldn’t be happier with the outcome of the event, the marina never looked brighter or more cheerful, we enjoyed the different colored flags on boats and positive vibrations from young people from all around the world. 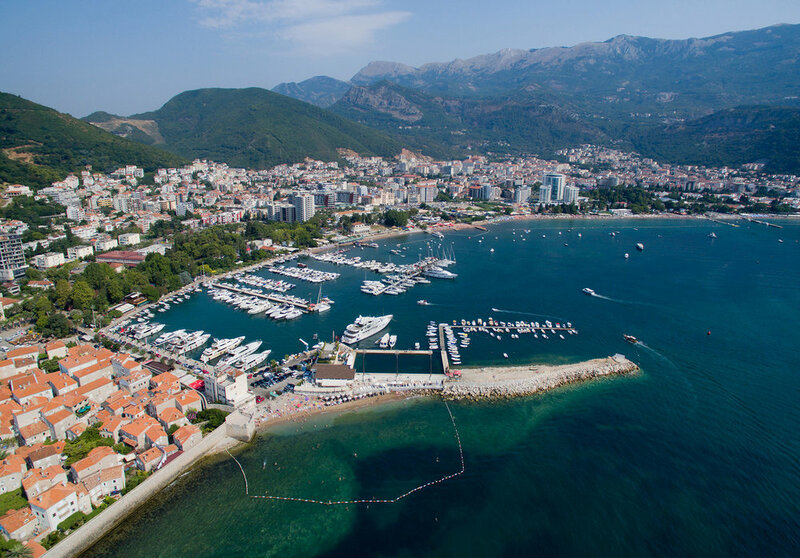 This was a great day for Budva as a destination too and organizers are confident that they will return next year and that Budva and Dukley Marina will become regular stop on Yacht Week’s itinerary.